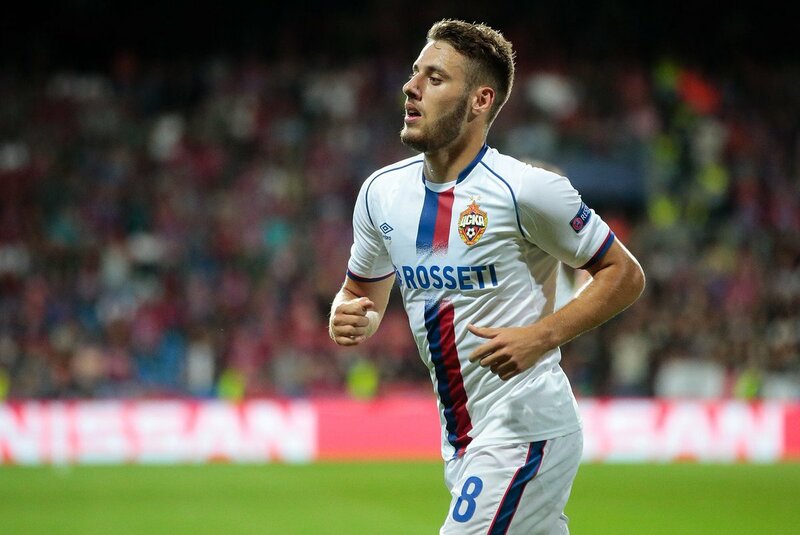 CSKA Moscow midfielder Nikola Vlasic (curerntly on loan from Everton) has been linked with a move to Turkish Super League outfit Besiktas according to reports from Europe. The 21-year-old was a summer signing from Croatia side Hajduk Split last season but failed to win a regular spot in the first team, with interim coach Sam Allardyce trsuting him with just seven league appearances for the Goodison Park outfit during the second half of the season. It didn’t get much better after Big Sam left, with Vlastic failing to impress Everton head coach Marco Silva in pre-season, promptinga loan move to Russian giants CSKA Moscow. The Croatian ace has been impressive for the Russian side scoring eight times in all competitions this season, and it is being reported by Fotomac that Vlasic has been monitored by Besiktas in the past few months as they look to make a summer bid for his services. He was especially exceptional in the Champions League, when he scored the winner in the first leg of the Champions League tie in the group stages against Real Madrid. He also made an assist in the return leg as CSKA did the double over the current champions. With the team flying off the back of such performances, and fans flocking once more to watch Russian football (with tickets regularly selling out for any Russian League games available at this link, it’s no wonder there is such interest. Vlasic’s loan is close to an end as we approach the last stages of the season and it remains unclear what the future holds for him at Everton. The Premier League side signed the player for £10 million and would want a good chunk of the transfer fee for the youngster. Besiktas are known for making moves for Premier League clubs but are understood to be in some financial difficulties. It remains to be seen if CSKA Moscow would be willing to make the move permanent in the summer, with the club currently just a point above rivals Spartak Moscow, in the race for the last Champions League spot.